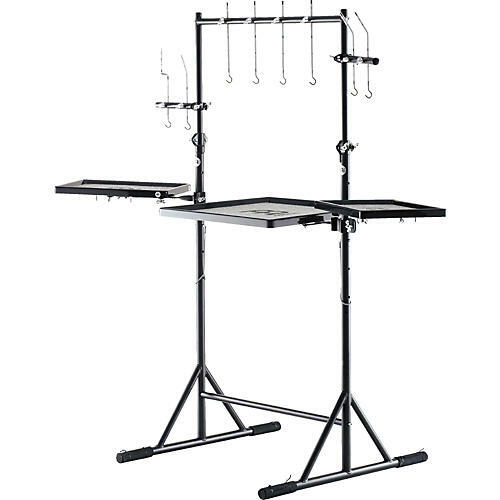 When it comes to ease of access and playability, the Meinl Percussion Workstation is a great solution. Made with great attention to detail, the Meinl Percussion Workstation has been designed to be customized to the drummer's preferences. Depending on available space, the rack system can be expanded or reduced to fit your particular needs. Primarily black, the Meinl Percussion Work Station blends in nicely with the overall stage design and won't interfere with the lightning.